As mentioned, many Americans are increasingly involved with their mobile phones. Smart phones are connecting people in multiple spheres: social media, email, news, texting, and online shopping are only a few examples. According to Google statistics, 45% of adult population in U.S. owns a smart phone, and 80% of those don’t leave home without it. This means a mobile website is accessible to customers at almost any time of the day. In fact, 77% of mobile searches occur at home or work, where the person probably has a computer available. Furthermore, many people also rely on a mobile device as a primary internet connection. 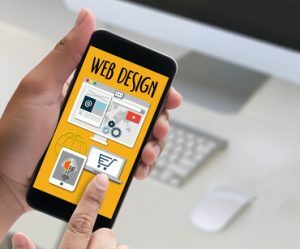 The fact that people are turning to their mobile phones for web searches rather than computers shows businesses that mobile website design can be just as important of an investment as regular website design. You already designed a website, so why should you design another site for mobile users? A customer’s mobile web experience can be less than satisfactory if your business relies only upon regular website. Mobile interface requires different web design for a great user experience: font and image sizes need to change, additional web features like click-to-call must be included, and navigation should be simplified. If your web design is incompatible for mobile users, navigation can get bumpy, and loading times are slower. Your customer expects a seamless experience with an easy-to-use website. If they are unsatisfied, they are likely to search a different business on their mobile rather than go to a computer to load your site. Therefore, specifying your web design for mobile users can help you retain customers. By making your business available and user-friendly to mobile users, you can boost site visitors. According to Google statistics, 57% of smart phone users search local businesses on their mobile phone every day. This is promising to small businesses, since mobile devices often prioritize local or nearby establishments in their search results. A business that is available to customers both at home and on the go can easily reach more people. Mobile traffic is especially strong in the younger generations, which constitute a large portion of consumer market. By investing in mobile website, your business’ site will be compatible with mobile phones and tablets. With a user-friendly site on mobile devices, consumers are likely to use and return to your website. Mobile web design is just breaching the marketing world. With today’s low web design prices, investing in a mobile-friendly site will give you a competitive edge over the competition. Your strategized web marketing can only be augmented by specializing it for your growing mobile users. Furthermore, your business can attract customers in a sphere that your competitors may yet have touched. Overall, the combination of more users, better compatibility, more traffic, and the competitive edge can boost your business’ sales. A specialized mobile site can help you attract and retain customers. In addition, compared to other types of consumers, mobile consumers are most likely to purchase your business’ products or services online. According to Google statistics, 73% of mobile searches produce additional actions and conversions (calling a business, sharing information, making a purchase, visiting a website, continued research, and visited a store). In addition, mobile shopping triggers quick online actions; about 80% of conversions happen within 5 hours of the search. By investing in mobile web design, a business can experience great benefits. Furthermore, 45% of mobile searches are goal-oriented; unlike computer searches, consumers searching their mobiles are usually on the internet for a purpose. Since consumers are reaching your website for a reason, your investment in a professional mobile website is most likely to have a high return. As the internet marketing industry booms, your business can benefits from professional website design. 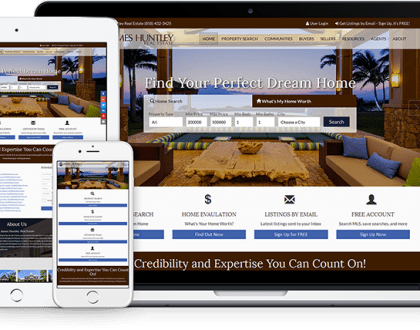 To establish a strong web present for your business on mobile, call our Minnesota web design firm today at (507) 581-9451.